WARSAW – It was a double points weekend at Hire Park, but there was something doubly important on the line Saturday outside the BMX track. 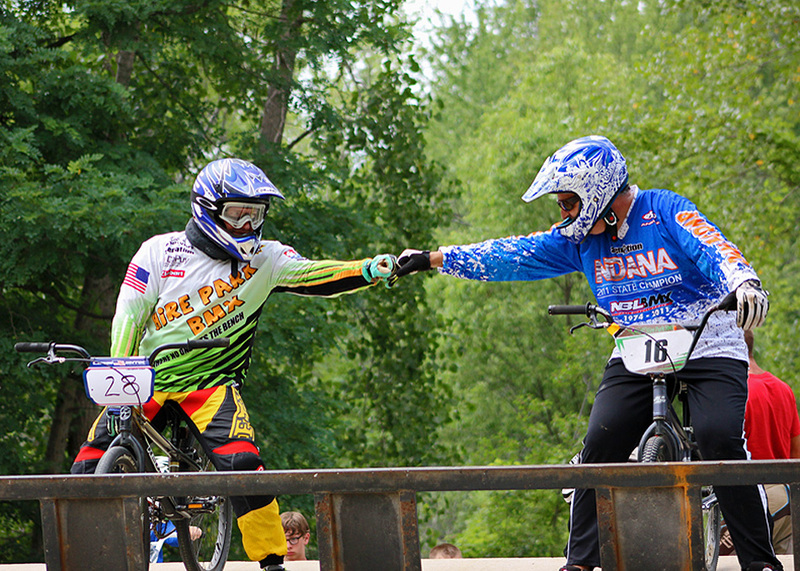 Hire Park was one facility among dozens across the country to host a Race For Life day, sponsored by USA BMX, the governing body for Hire Park. Riders and spectators were asked to raise funds or donate to Hire Park, which turns the money around to the Race For Life organization benefitting the Leukemia and Lymphoma Society. Race For Life began in 1981 when BMX rider Todd Kingsbury developed Leukemia. The idea was to hold a “Race For Life” for Kingsbury, and over 130 parks around the country did so to help his fight. Ever since, USA BMX has grown the event nationwide and helped raise thousands of dollars for the Leukemia and Lymphoma Society. Kingsbury wasn’t able to win the fight, passing away in late 1981, but his legacy has helped many after him that have developed the debilitating disease. Hire Park coordinator Dan Rumple stated the track raised over $1,500 Saturday, attaining its goal, and has done so each year since the track began hosting the event in 2011. For more information on Hire Park and its events, visit hireparkbmx.com. To see more action photos from the Hire Park, including a full set of racing photos, visit Jamie Stalter’s Lasting Memories by Jamie Stalter Facebook page.